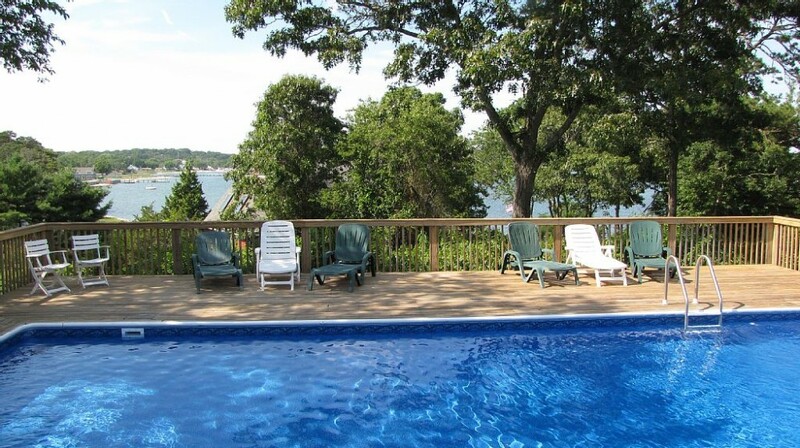 This beautiful waterview home includes 4 Bedrooms and 2 Bathrooms. It has gorgeous waterviews overlooking large upper and lower decks with large inground pool and outdoor shower with dressing area. Newly renovated kitchen with solid surface counter tops and top of the line stainless steel appliances. A cozy Living Room with 55" flat screen TV above a stone fireplace. Wifi and air conditioning throughout house. Just steps away from the beach. This home has been recently renovated and in spotless condition.